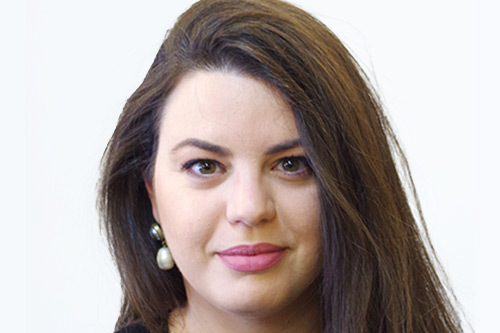 After completing her law degree in Greece, Despoina became a trainee lawyer, before embarking on the LLM in Maritime Law in London. My name is Despoina Stylianidou and I come from Greece. I am a postgraduate student at City, University of London, pursuing a Master of Laws (LLM) in Maritime Law. Why did you choose to study for a Master of Laws (LLM)? I studied my Bachelor of Law at the Aristotle University of Thessaloniki in Greece. Following my graduation, I became a trainee lawyer working in a law firm in Greece for some years. Throughout these years, I realised that I wanted to pursue my studies and deepen my knowledge on the maritime and international law field. Therefore, I decided to specialise in that area of law. Choosing City was an easy choice for me because of its stellar academic and professional reputation in the field of maritime law. However I soon realised that the law school offers so much more than that. Also the fact that City is now a member of University of London increased its reputation to me. City’s excellent location was one more reason for me since all City’s Law School premises are located in the hub of Central London. Which modules did you choose and why? I chose those modules, because I was keen on understanding both the private and public law aspects of maritime affairs. Did you take part in any extracurricular activity? (Pro Bono, Mooting, etc.) Tell us more about your experience? City and especially Professor Katherine Reece-Thomas afforded me the opportunity for the purposes of an assignment in the International Law of the Sea course to do my research at the International Maritime Organisation (IMO) premises in London. This was an outstanding experience for me since I had the opportunity to observe and gain insight into an international organisation. What advice or tips would you give to anyone who wants to study for a LLM? My first advice is that you should definitely do it since it will be a milestone of a student’s life regarding future career potential. Secondly, I think that remaining focused on your courses and on your goals is very important. Moreover, make use of the activities that City offers (Pro Bono, Mooting) and make use of the City’s libraries that proved to be a valuable source for research materials. In conclusion, do not forget to work hard and ask questions since all staff is there to help! After graduating I hope to start working in the international maritime field. I plan on beginning the application process soon, to optimise my chances of getting a job by the time I graduate.